Lee and his Marvel Comics collaborators made stories for kids that could be appreciated by adults. Moviegoers know Stan Lee as the zany old guy who’s had a cameo in each of the Marvel movies. Fans are probably aware that as a comic-book writer and editor, Lee was the guiding force behind the creation of the Marvel universe. They may even be familiar with the jaw-dropping roster of characters he had a hand in introducing, all during one incredibly fertile stretch of the 1960s: Spider-Man, the Hulk, the X-Men, Avengers, the Fantastic Four, Black Panther, Ant-Man, Iron Man, Thor, Dr. Strange and many, many others. Yet they may not fully appreciate the extent to which Lee, who died on Nov. 12 at age 95, paved the way to our current superhero- and science-fiction-obsessed pop culture. Lee—born Stanley Lieber—helped introduced a style and sensibility that reveled in over-the-top action and melodrama without ever taking itself too seriously. Lee and his Marvel Comics collaborators made stories for kids that could be appreciated by adults, forever blurring the line between genres and unlocking a formula exploited by the entertainment industry since the 1970s. Lee isn’t just responsible for the super hero movies of Marvel and DC, but his influence can be felt in Star Wars, Star Trek, Raiders of the Lost Ark, and dozens of blockbuster franchises. Six of the top 10 movies at the US box office this year feature superheroes, and at least three others borrow from their energy. All of them can be traced back to Lee, as can dozens of offerings on television, Netflix, and beyond. Even if Lee was a bit too eager to claim credit for the shared labor of co-creators Jack Kirby and Steve Ditko—or to let others assign him more credit than he was due—it was his work as a editor, marketer, and promoter-in-chief that helped propel the work into the hands of adults. With his trademark bombast, Lee gleefully seized on the ’60s zeitgeist and once labeled his comics “Marvel Pop Art Productions,” even if it took another three decades for his dream of comics’ true assimilation into the mainstream to come to pass. How can artists lead dramatic social change? At the core of Marvel’s success was the humanity of its characters, even when they weren’t human. Unlike the always-virtuous Superman and Batman at rival DC, the Marvel comics of the 1960s were filled with flawed heroes who stumbled and failed. The Fantastic Four—the first comic book of the modern Marvel universe—was a family that started bickering in their first issue and haven’t stopped, 57 years later. Spider-Man’s Peter Parker was a bullied teenager who lived with his aunt. The X-Men were outcast mutants, feared because they were different. Lee had his flaws as a writer, of course. His language was florid and prolix, he recycled his ideas, and his treatment of women was cringe-inducing. Still, he deserves credit, too, for introducing (with Kirby) the first mainstream black superhero, Black Panther, and not as the traditional Hollywood cliche of an out-of-Africa savage, but as the scientist-king of technologically sophisticated Wakanda. By the 1970s, Lee was no longer writing comics, but spending more and more of his time developing Marvel properties for TV and movies. While Lee prospered from his association with Marvel and his creations, the same wasn’t true of Kirby, his most frequent collaborator. Kirby left Marvel for DC—where he satirized Lee as “Funky Flashman,” an unprincipled huckster—and Kirby’s estate spent years in a protracted legal dispute with Marvel. 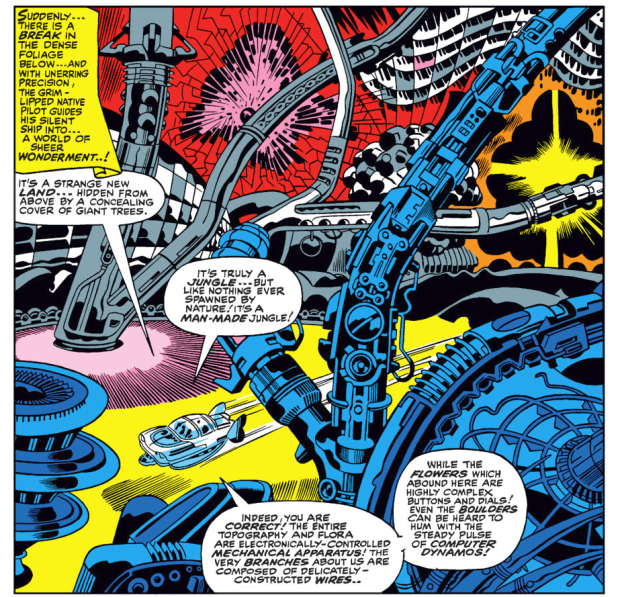 To this day, the extent of Lee and Kirby’s exact contributions to their co-creations are a subject of intense scholarship. Lee occasionally returned to writing, never with the success he enjoyed in partnership with Kirby and Ditko. His last years were spent in a sad tangle of lawsuits and accusations that he was defrauded by his former business manager. Lee’s legacy is as complex as the sprawling universe he created. Like his best characters, he was never fully heroic or villainous, just a gifted individual. He’ll be missed, but his creations will live forever.